The West Midlands Clinical Networks bring together those who use the service, provide and commission the service to make improvements in outcomes for complex patient pathways using an integrated, whole system approach. The Networks works in partnership with commissioners, supporting their decision making and strategic planning, by working across the boundaries of commissioner, provider and voluntary organisations as a vehicle for improvement for patients, carers and the public. In the video below Kate Ansell, Chair of the Patient and Public Information Group, West Midlands Clinical Networks, stresses the importance of the patient voice in the work of the Network. 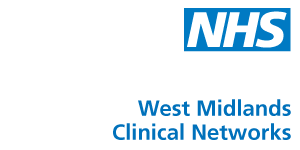 Find out more about the West Midlands Clinical Networks at www.wmscnsenate.nhs.uk and follow them on Twitter at @WMSCN. Support increased prevention and timely diagnosis for people with dementia, including ensuring the availability of appropriate support before and after diagnosis. Translate strategy into tangible outcomes aimed at improving the experience of care for people diagnosed with dementia. Improve the experience of end of life care for people with dementia and their carers through the development of robust integrated pathways. An increase in people with dementia receiving a formal diagnosis. An increase in the proportion of people receiving a diagnosis when they are in the mild to mid stages of illness. Increase in the proportion of patients with dementia, having a full diagnostic assessment. An increase in the number of patients and carers who have a positive experience of health care services. An increase in the length of time people with dementia are cared for at home. Improvements in reported patient and carer experience. Reduction in dementia-related emergency admissions. Improved quality of life for people with dementia currently living in care homes.